The PANDORA clip is an essential accessory for a true fan. The sterling silver design is simple and slick with the brand logo engraved on the surface of the clip. Made from sterling silver. 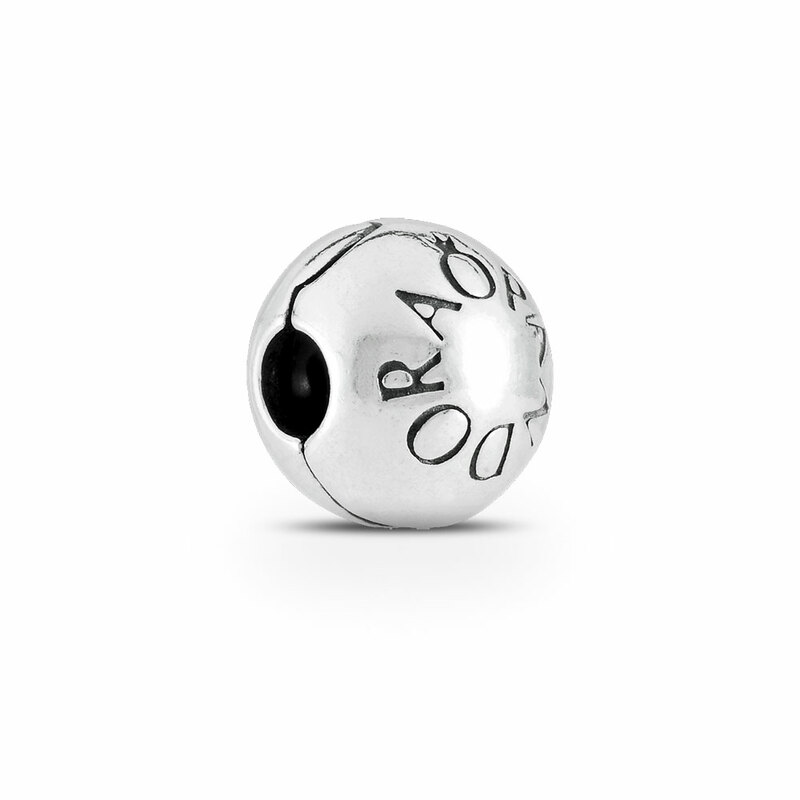 PANDORA Signature Silver Clip Charm - PANDORA is rated 4.8 out of 5 by 9. Rated 5 out of 5 by Thistle from Favorite clip. I use these clips on bracelets and bangles that have the same style clasp, for a symmetrical, balanced look. Clean and sophisticated style. I've got lots of them and am about to buy two more. Rated 5 out of 5 by TLK13 from Simply Beautiful This is the only clip/stripper I will buy for my bracelets. If you are looking for simplicity; this is the go to charm. You will not be dissatisfied. Rated 5 out of 5 by Erin67 from So cute I love this clip, I don’t actually use this as a clip I use it a a little charm. It’s so cute. Rated 5 out of 5 by NISHA46 from JUST AWESOME I brought this a week ago and it is adorable. I should have ordered. Rated 5 out of 5 by MsVee from I love this Charm! I purchased this charm during the Sale and got a great deal! It fits like a charm!! !